If you want an estimation of work for Brive la Gaillarde and the country around * ( Corrèze, Lot, Dordogne )? The estimations of work are free. The estimation will have to be returned with before this signature the expression : "Bon pour accord". An attestation will be done for all persons who will have a profit margin about TVA (10 %). 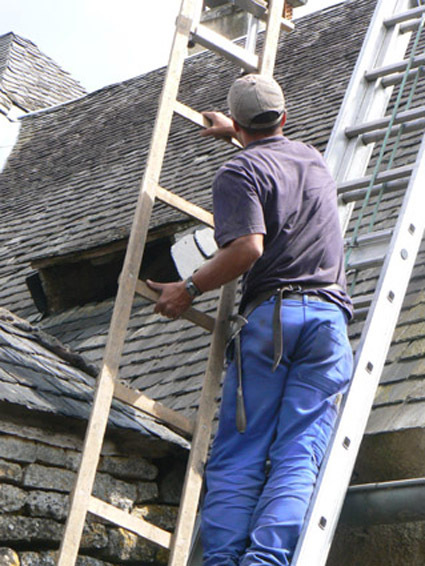 roofer, slater,zingueur, carpenter, Brive-la-gaillarde, Gignac en Quercy, 46 Lot, Brive Limousin, 19 Corrèze, Nadaillac 24 Dordogne, Aquitaine, and on 50 km around these towns and villages.